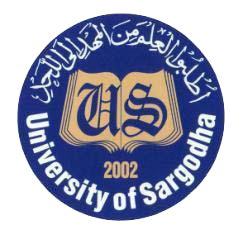 Sargodha, University of Sargodhahas issued the complete schedule for the submission of the admission forms for the coming UoS B.Com part I & II Annual exams 2019. The candidates are asked to check UoS B.Com Annual Exams 2019 Admission Schedule for submission of the admission forms by the closing date of 29-03-2019. The candidates will have to deposit the admission fee as mentioned in the admission notification. You Can Get Sargodha University Schedule Here.